You must learn the Swift language. Swift is the recommended development language for iOS. The first two chapters of this book are designed to give you a working knowledge of Swift. You must master the big ideas. These include things like delegation, archiving, and the proper use of view controllers. The big ideas take a few days to understand. When you reach the halfway point of this book, you will understand these big ideas. You must master the frameworks. The eventual goal is to know how to use every method of every class in every framework in iOS. This is a project for a lifetime: There are hundreds of classes and thousands of methods available in iOS, and Apple adds more classes and methods with every release of iOS. In this book, you will be introduced to each of the subsystems that make up the iOS SDK, but you will not study each one deeply. Instead, our goal is to get you to the point where you can search and understand Apple’s reference documentation. We have used this material many times at our iOS bootcamps at Big Nerd Ranch. It is well tested and has helped thousands of people become iOS developers. We sincerely hope that it proves useful to you. This book assumes that you are already motivated to learn to write iOS apps. We will not spend any time convincing you that the iPhone, iPad, and iPod touch are compelling pieces of technology. We also assume that you have some experience programming and know something about object- oriented programming. If this is not true, you should probably start with Swift Programming: The Big Nerd Ranch Guide. What Has Changed in the Sixth Edition? All of the code in this book has been updated for Swift 3.0, which was a major update to the Swift language. Throughout the book, you will see how to use Swift’s capabilities and features to write better iOS applications. We have come to love Swift at Big Nerd Ranch and believe you will, too. 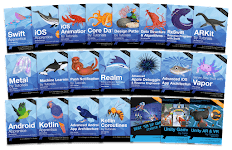 Other additions include new chapters on debugging and accessibility and improved coverage of Core Data. We have also updated various chapters to use the technologies and APIs introduced in iOS 10. This edition assumes that the reader is using Xcode 8.1 or later and running applications on an iOS 10 or later device. Besides these obvious changes, we made thousands of tiny improvements that were inspired by questions from our readers and our students. Every chapter of this book is just a little better than the corresponding chapter from the fifth edition. This book will teach you the essential concepts of iOS programming. At the same time, you will type in a lot of code and build a bunch of applications. By the end of the book, you will have knowledge and experience. However, all the knowledge should not (and, in this book, will not) come first. That is the traditional way of learning we have all come to know and hate. Instead, we take a learn-while- doing approach. Development concepts and actual coding go together. We have learned what ideas people must grasp to get started programming, and we focus on that subset. We have learned that people learn best when these concepts are introduced as they are needed. We have learned that “going through the motions” is much more important than it sounds. Many times we will ask you to start typing in code before you understand it. We realize that you may feel like a trained monkey typing in a bunch of code that you do not fully grasp. But the best way to learn coding is to find and fix your typos. Far from being a drag, this basic debugging is where you really learn the ins and outs of the code. That is why we encourage you to type in the code yourself. You could just download it, but copying and pasting is not programming. We want better for you and your skills. for it. (If you think this will bug you, keep reading – we have some ideas that might help.) Do not get discouraged if you run across a concept that you do not understand right away. Remember that we are intentionally not providing all the knowledge you will ever need all at once. If a concept seems unclear, we will likely discuss it in more detail later when it becomes necessary. And some things that are not clear at the beginning will suddenly make sense when you implement them the first (or the twelfth) time. Check the index. We will let it slide if you look ahead and read through a more advanced discussion that occurs later in the book. Check the online Apple documentation. This is an essential developer tool, and you will want plenty of practice using it. Consult it early and often. 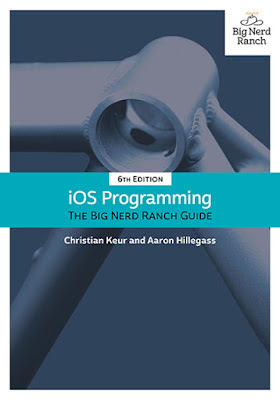 If Swift or object-oriented programming concepts are giving you a hard time (or if you think they will), you might consider backing up and reading our Swift Programming: The Big Nerd Ranch Guide. This book is based on the class we teach at Big Nerd Ranch. As such, it was designed to be consumed in a certain manner. a chapter, find a quiet place where you will not be interrupted for at least an hour. Shut down your email, your Twitter client, and your chat program. This is not a time for multitasking; you will need to concentrate. Do the actual programming. You can read through a chapter first, if you like. But the real learning comes when you sit down and code as you go. You will not really understand the idea until you have written a program that uses it and, perhaps more importantly, debugged that program. A couple of the exercises require supporting files. For example, in the first chapter you will need an icon for your Quiz application, and we have one for you. You can download the resources and solutions to the exercises from www.bignerdranch.com/solutions/iOSProgramming6ed.zip. Find someone who already knows how to write iOS applications and will answer your questions. In particular, getting your application onto a device the first time is usually very frustrating if you are doing it without the help of an experienced developer. Get enough sleep. Sleepy people do not remember what they have learned.